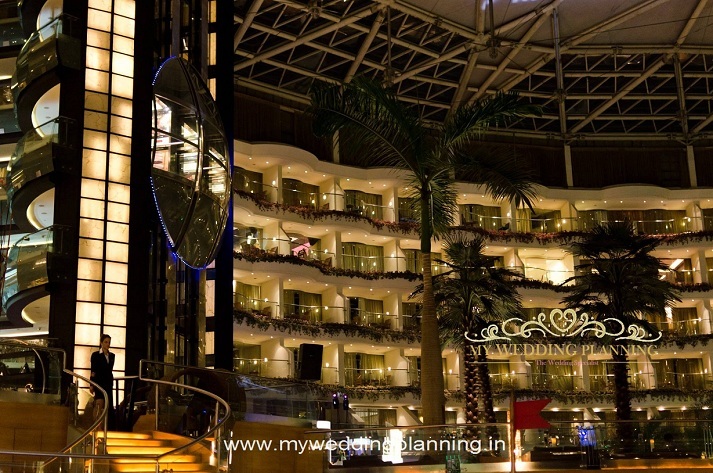 Sahara Star has no shortage of picturesque wedding venues and is one of the city’s crown jewels. 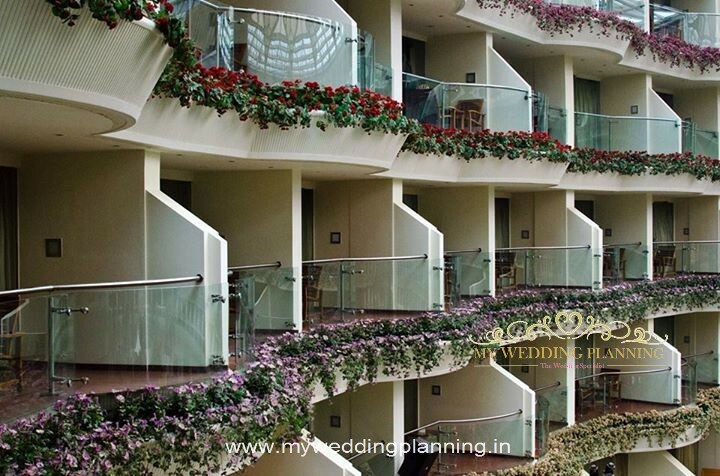 The central courtyard will leave your guests mesmerized as they enter your wedding hotel. 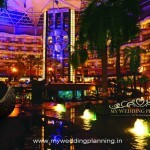 Sahara Star is ideal for grand weddings. The interior details of this lavish 5 star property include painted murals, ornate ceilings, grand wedding venues and top notch restaurants. The hotel has 223 well appointed guestrooms, public corridors, lobby, meeting and event space, indoor and outdoor pool area, restaurant outlets, exterior facade, and business and fitness centres. At Hotel Sahara Star, we aim to host the finest meetings & banquets with magnificent venues for your events, celebrations & an impeccable array of accommodation to suit your needs. 5,000 sq.ft of banquet space christened as Oyster and Coral serve as the ideal venue for events, meetings and conferences which creates the perfect setting for your guests. Sahara Star with its 223 rooms will impress your guests from the moment they step through our doors. So on your special day, shine, and leave the rest to the professional hands of Sahara Star’s banquet team. 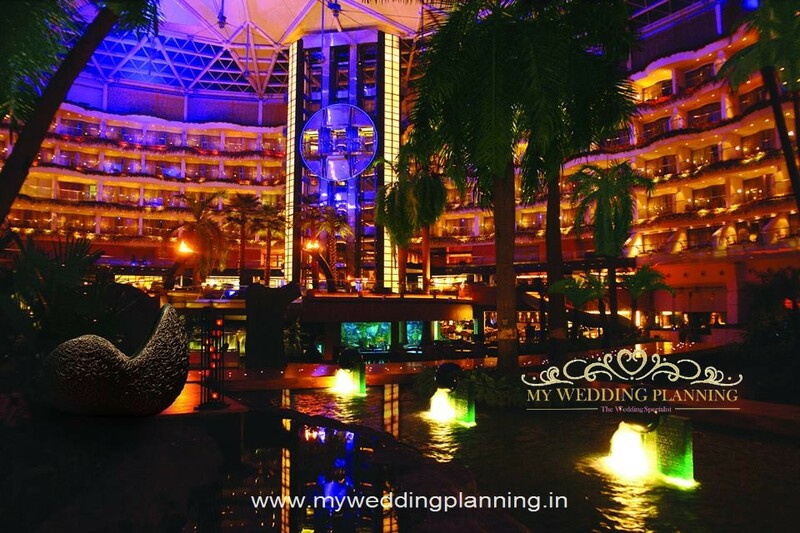 From the great location at the heart of Mumbai to the beautiful ballrooms boasting stylish contemporary ambiance and the finest details of the exquisite food and elegant set-ups, experience your dream wedding at Sahara Star. Conveniently located near the domestic airport, Sahara Star will endeavour to make your dream of a perfect wedding a reality. Capable of hosting up to 2000 guests, Sahara Star offers a variety of venues to enhance your special event. 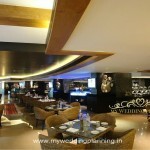 STARTING COST PER PLATE: Rs.2700 All Inclusive Plans with Rooms. The Grand Ballroom is column-free and the ceiling lined with fibre optic lights that resemble a constellation of stars. Four function rooms of varying sizes are also available for different configurations to suit your needs seamlessly. Sahara Star offers you a state-of-the-art audio-visual facility, live broadcast & tele-video conferencing facilities, wi-fi internet connectivity & much more. Have your dream wedding tailored to your requirements at the Jade Ballroom. It is modern and completely pillar less with high ceilings. If dreamy dinners are your wedding fantasy, sashay into a stylish ballroom beautifully embellished to accommodate your fairytale ideals. Embark on a captivating night with a gourmet spread of Indian and International cuisines, all specially tailored to help you enjoy the biggest day of your life. 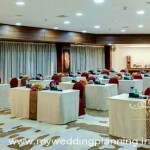 The Presidential Boardroom is top of the line Luxury Conference Facility in Mumbai. Located near the Domestic Airport, it offers convenience and functionality of a VIP Conferences. 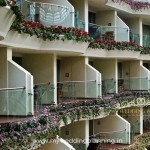 With variety of well maintained accommodations the property is one of the better Business Hotels in Mumbai. The Presidential Boardroom is also ideal for luxury weddings and celebrations, as it can be converted to a fully equipped Banquet. Jade redefines celebration with absolute splendour. Reigned by contemporary design, its intimate designed spaces embrace a sombre play of elegance and minimalism. With a capacity to host 1000 guests in its abundant space of 9,000 sq.ft. Jade’s pillar-less multi-function area with a ceiling height of 18 feet is a captivating sight for every guest. Adjacent to its ballroom is a pre-function area that is spread across 3,500 sq.ft. that becomes your host to cocktails and breakouts. The ballrooms unique ability to convert into two soundproof sections by a state-of-the-art Dorma Air wall makes it an ideal choice for smaller events, workshops, and lectures. Its advanced multimedia and communications technology along with other distinctive features enrich the celebratory experience every time. With a versatility to host, both, corporate events and social galas, Jade presents a fine blend of contemporary and Indian sensibilities to enamour every heart. 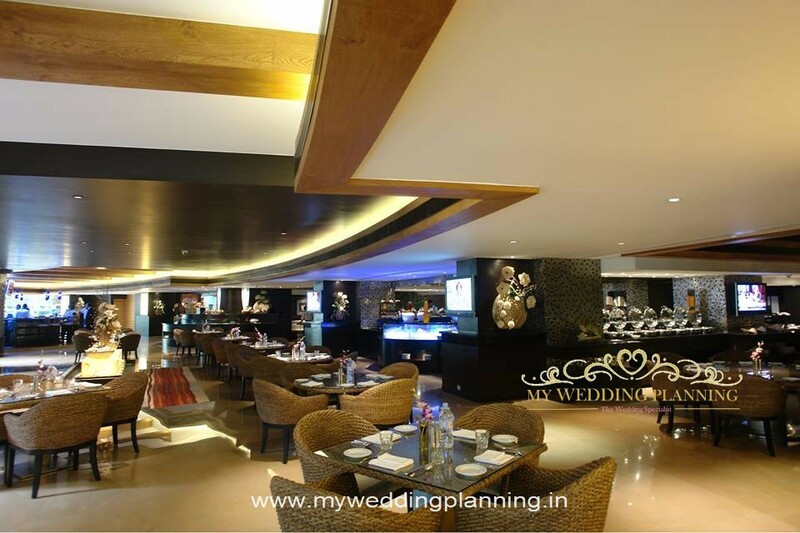 It is the favoured Wedding Banquet hall for a large group that desires elegant celebrations. The hotel’s Nearness to the Airport and availability of Luxury accommodation, this venue is ideal for any large ceremonies. It is widely used for receptions, Ring ceremony, Parties and even smaller get-togethers. » Ballroom can be set up in multiple ways to suit your personalized social or business requirement. A 2,800 sq.ft. ideal venue to host events, seminars and conferences elegantly. Masterfully designed, it anticipates every request and seamlessly caters to every need with utmost care. Complemented by latest design trends and facilities, Coral provides a rich ambience for celebrating small events with grand style. A 3,100 sq.ft. hall that becomes an inspiring host for every event and celebration. 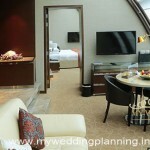 Its interior exudes an ambience that strikes a perfect balance between intimate and professional. Built to complement every event and celebration, Oyster is most prominent in its architectural feature, serving guest with a fine balance of international and Indian hospitality.